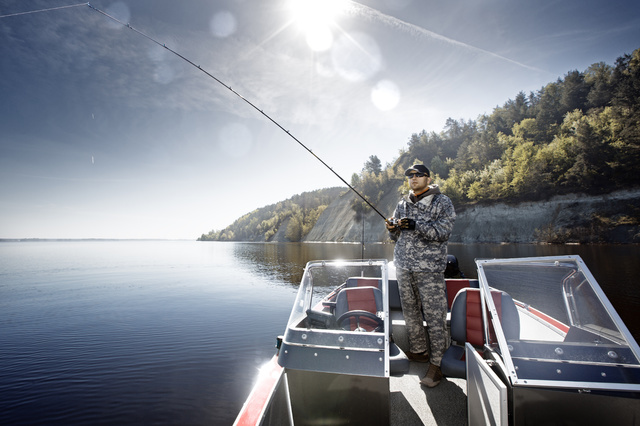 An integral part for many living in coastal areas or nearby lakes and major rivers, recreational fishing is a special kind of hobby which helps you connect with nature while being a fantastic way to relax. Recent estimates put recreational fishing, or sport fishing, right on the top of the list for tens of millions of Americans. Whether it’s done with reel, rod, hook or line, there’s something for anyone looking for a relaxing time, surrounded by nature. What’s more, there is a huge community of sports fishermen available where you can get guidance, tools and other information regarding this wonderful hobby. You’ll just have to make sure you bring all your lures, baits and flies. Sport fishing was practiced by humans since Antiquity and there have been many stories about the adventures of these early fishermen. Many of them have remained ingrained in local folklore and act as foundation tales for many archaic concepts and beliefs. The world of sport fishing attracts the extreme and eccentric, and there are thousands of stories to be retold. What do Minnesotans do in the middle of winter? You got it! They ice fish, and they’re definitely not alone. This yearly competition, started in the early 1980s, has grown exponentially and is hosted on Gull Lake. It attracts more than 8,000 fishermen and, in the middle of January, that’s something to talk about. More than 30,000 holes were drilled over a two-week period and the contest has some really attractive prizes, including a top-of-the-range snowmobile — the ideal vehicle for any ice fisherman out there. Some of the most ridiculous fishing stories have become famous and there are numerous jokes based on them. Everyone knows a few, but this one is no brag-story from a drunkard on a lazy Saturday afternoon. Firstly, let’s get into some details: catfish are a special breed of fish, according to many fishermen. They grow big and fight hard, so catching one is no easy task. In North America, the blue catfish (Ictalurus furcatus) reigns supreme as the largest of the entire genus. Many fishermen try to beat their personal records year after year, but Greg Bernal, a 47-year-old Missouri resident made the news when he caught a 130-pound beast in the Missouri River. Standing at 57 inches long and 45 inches in girth, the fish was caught with a rod and reel set, on July 21, 2010. The previous record, which weighed in at 124 pounds, was unbeaten for five years, making this feat even more impressive. Simply put, the largemouth bass record is the holy grail of the whole sport fishing world. Almost every fisherman believes that, one day, he will be the one to break the record which still stands for an incredible 83 years. Simply braking this longstanding record will make you the king of the multi-billion dollar bass fishing industry. The initial record was set by George Perry from Jacksonville, Georgia on June 2, 1932. Even though this 8 decade record has not been beaten by anyone, it has been tied by Manabu Kurita, a Japanese resident from Aichi prefecture, who managed to catch a 22 lb. 4 oz. bass near Kyoto. The record was confirmed by the International Game Fish Association after a round of tests (including a polygraph test) to ensure that the claim was indeed true. This only confirms how important this record is in the sport fishing community. If you feel like you’re the next record-setter, or if you want a few “big fish” stories of your very own, explore the hobby and see what the fuss is about! Don’t forget to bring a dry bag — you can check out adventurelion.com for their line of tough waterproof bags so you can keep the stories to the fishing and not how you soaked all of your valuables. Flaviu Mircea is a freelance writer and professional student who understands the value of a deep connection with nature — working in the Summers to set his own records. This entry was posted in Other and tagged biggest catfish, biggest largemouth bass, blogs about fishing, Fishing, fishing competitions, fishing records, fishing world records, George Perry, Greg Bernal, ice fishing, largemouth bass record, largest catfish, Manabu Kurita, sport fishing, sports and adventure, sports and leisure, Sports Archives, Sports Blogs. Bookmark the permalink.